My thanks to Net Galley and Pan Macmillan for the review copy. I really wasn’t sure what to expect when I picked up this novel, I had no idea it was going to be such a dark brutal and bleak read. This isn’t to say it’s a bad novel, it just isn’t a cheer-you-up novel. It also isn’t a particularly fast read, due to the dark and serious nature of the novel I had to take quite a few breaks to allow my brain to process everything and recover! But don’t for a second think that I didn’t enjoy this novel, it was breath-taking, and it was an incredible read. This novel tells the story of Sarat, a woman who faces such hardship during the Second American Civil War, and is eventually turned into a weapon, a killer of the Northerners. The story is told by Benjamin, her nephew when he himself is an old man. This reflective style of plot allows a deeper understanding of the events of the plot, and also allows the reader to understand the effects the events had on the overall course of the war, and history in general. 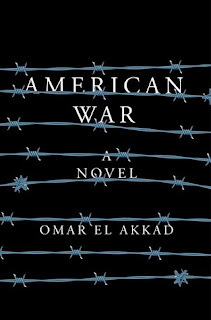 I will admit that I don’t know very much of American geography or history, so it took me a while to fully understand what exactly was happening in this novel, and to fully grasp the ins and outs of the war itself. The author has done a brilliant job of developing the world, and you can tell that a lot of thought had gone into creating the premise of the novel. The characters in this novel are fascinating to read about. Sarat is a particularly interesting character, we follow her from a small child through to womanhood, and the changes that she undergoes, some as a direct result of the war she survived are incredible and harrowing to read about. Sometimes she seemed so mature and much older than her age, and at other moments she could be so childlike and naïve. I grew very attached to Sarat, and really sympathised with her, even though she did some pretty terrible things. I enjoyed reading about Sarat’s family too, although I didn’t grow as attached to them. I didn’t quite get the emotional punch that certain events featuring Sarat’s family were supposed to pack, but they were still an interesting group of characters to read about. The author is very clever with the way he has written the narrative of the novel. By interspersing the story of Sarat and her life with articles from newspapers and other official documents about the Civil War, and events that occur before and after the storyline we are following. These are a crucial part of the excellent world building and historical detail and accuracy that the author has included, and I really enjoyed the other dimension that these more official documents lent to the diary-like narration of the majority of the novel. 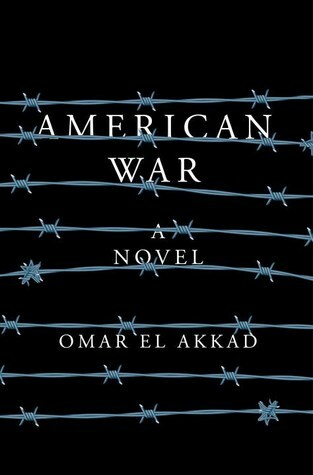 Overall I really enjoyed this novel, I gave it 4.5/5 stars, it was bleak and harrowing but it made me think a lot about war and the effects it has on civilians, and the novel is definitely relevant today.